A generation ago, cathedral city car owners seem to be more inclined to keep their vehicle’s preventive maintenance on schedule. One reason for this may be that vehicles back then were a lot less reliable than they are today. 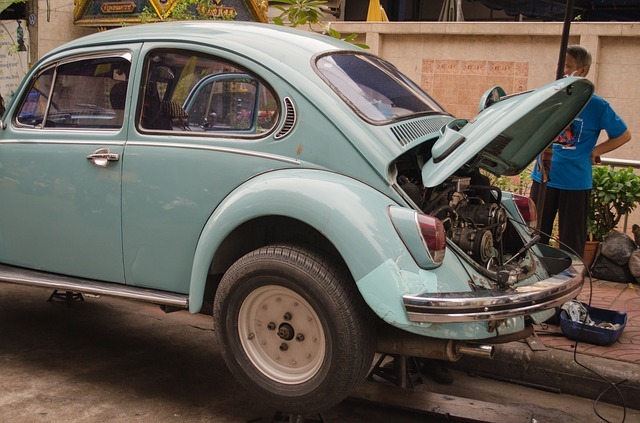 Taking your vehicle to the shop every year or two for repairs was a good way of keeping the oil changed regularly. In addition to this, the timing needed adjusting every few years. As long as the vehicle was in for a tune-up at Davies Auto Care, the vehicle was inspected and you took care of any needed repairs at the same time. Today’s engines have electronic ignition systems and engine control computers. Spark plugs can last for up to 100,000 miles/160,000 km. Vehicle reliability has vastly improved in the last few decades, and surveys report fewer problems with new vehicles than ever before. That also means that our vehicles don’t experience a huge performance drop when they’re ready for some care. But it doesn’t mean that they don’t need it. 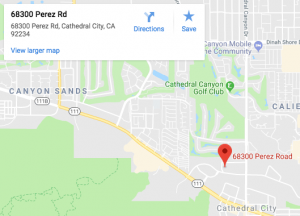 When Can Cathedral City Car Owners Expect Maintenance? Modern cathedral city car owners need to rely on calendars and mileage intervals to know when to schedule maintenance. Owner’s manuals contain recommendations on the schedule of maintenance. ?Also, Davies Auto Care can provide advice about auto maintenance schedules. We know that the benefits of staying on top of preventive maintenance are substantial. First, you’ll get better engine performance and fuel economy. Those two things alone return the cost of preventive maintenance: in fuel savings and safety. Also, routine maintenance will prevent major car repairs later on. Again, the cost savings can be significant. As the old saying goes, ?Spend a penny, save a dime.? Modern vehicle engines are more durable and reliable than their predecessors, but they’re more sophisticated and complex as well. For this reason, preventive maintenance today is even more critical than the old tune-up. Modern engine systems have a lot of parts that have to stay lubricated. These parts could be aluminum, plastic or steel. Special additives in lubricants keep each of these materials from breaking down or corroding. Over time, these additives run out even if the vehicle is not used. This makes fluid changes a critical part of scheduled maintenance if you want to keep your vehicle on the road. As an example, coolant fluid in your engine is a sophisticated mix that not only keeps your vehicle engine cool but also protects and maintains its components. However, this will contaminate the fluid and deplete the anti corrosive additives. It can become corrosive and damage the parts of the engine it should be protecting. It can eat holes in your radiator and other engine parts. Changing the coolant could have prevented this damage, and it’s a whole lot easier and cheaper than replacing a radiator. Timely oil changes are more critical for cathedral city drivers than they used to be. Skipping just one oil change can start the build-up of oil sludge in your engine. Sludge can clog small engine passages, which cuts off the supply of lubricant to engine parts. Just this small bit of sludge can reduce the life expectancy of your engine. If the build-up continues, it could lead to engine failure within two or three years. One word of warning to anyone who purchases used vehicles: take care when buying a leased vehicle.? Folks who lease vehicles only intend to drive them for two or three years, generally the years when the vehicle is least likely to experience any problems. One of the reasons people lease vehicles is that they don’t want to bother with maintenance or vehicle care. Before buying a pre-leased vehicle, be sure to inspect it for signs of damage that result from lack of proper care.